yes. 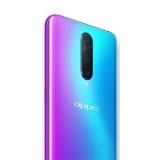 Just click on “buy with exchange” on Realme2 product page. approx 1500. please check on Flipkart link for your pin code if it is available. most Samsung mobiles will be available on EMI on Amazon and Flipkart. Search your model on Trackit search bar for details. you will get approx 3000 off on final price for this. You can also you SBI credit/debit card for further 2000 cashback. you will pay 22,399. If you use SBI debit/credit card you will get extra 2000 cash back. there is a link for exchange offer on F7 (4GB and 6 GB) models. Sale will live on 17th May 3PM. All offers will be revealed then.